To estimate the prevalence, predictors, and impact of low high-density lipoprotein cholesterol (HDL-C) on in-hospital outcomes among acute coronary syndrome (ACS) patients in the Middle East. Data were collected prospectively from 6,266 consecutive patients admitted with a diagnosis of ACS and enrolled in the Gulf Registry of Acute Coronary Events (Gulf RACE). A low HDL-C was defined as a level <40 mg/Dl (1.0 mmol/L) for males and <50 mg/dL (1.3 mmol/L) for females. Analyses were performed using univariate and multivariate statistical techniques. The overall mean age of the cohort was 56±12 years and majority were males (77%). The overall prevalence of low HDL-C was 62%. During in-hospital stay and at discharge, the majority were on statin therapy (83%) while 10% were on other cholesterol lowering agents. After adjustment of demographic and clinical characteristics, the predictors for low HDL-C were higher body mass index (BMI), prior myocardial infarction (MI), diabetes mellitus, smoking and impaired renal function. Multivariable adjustment revealed that low HDL-C was associated with higher in-hospital mortality (odds ratio (OR), 1.54; 95% CI: 1.06-2.24; p=0.022) and cardiogenic shock (OR, 1.61; 95% CI: 1.20-2.14; p=0.001). ACS patients in the Middle East have a high prevalence of low HDL-C. Higher BMI, prior MI, diabetes mellitus, smoking, and impaired renal function were predictors of low HDL-C. Significantly higher in-hospital mortality and cardiogenic shock were associated with low HDL-C in men but not in women. 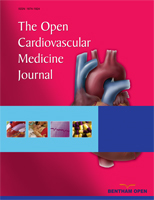 Keywords: High density lipoprotein cholesterol, low density lipoprotein cholesterol, triglycerides, acute coronary syndrome, myocardial infarction, gender, Middle East..
© Al-Rasadi et al. ; Licensee Bentham Open.